Each industry and profession tends to have its own jargon, and horse farriers are no different. As a horse owner, you should be able to understand what your farrier is telling you about your horse; otherwise, you may miss out on important information. It’s also worthy to note that you should ask your farrier questions if you don’t understand. Farriers want their clients to feel good about what they’re doing and how they’re addressing any concerns you may have. Whether you’re a seasoned horseman or new to horse ownership, a refresher on farrier work and terminology is always helpful. Your farrier or blacksmith is a skilled craftsman who, in most cases, has received training at a school specifically for blacksmiths. He or she has studied hoof anatomy, may have worked with a mentor or completed an internship, has learned about various hoof issues and how to create special shoes for horses who may need extra hoof support. Some farriers have specialties such as breed or riding discipline, but most will trim and shoe horses according to their hoof care needs. A farrier’s goal is to make your horse’s gait as efficient as possible. An efficient gait means less effort for your horse, increased athletic ability and smoother movement. The perfect trim or horseshoe won’t turn a non-athletic horse into a world champion, but it will help maximize his existing abilities. To move soundly, your horse must be balanced. Both the inner and outer portions of the hoof wall should land at the same time, spreading the shock evenly. 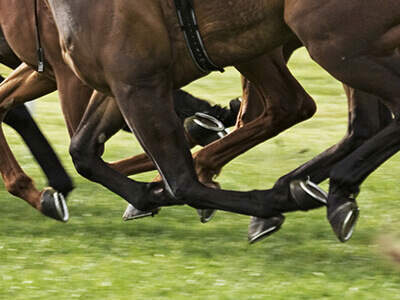 The heel should leave the ground first as the horse moves forward and the hoof “rolls over.” The “breakover” is when the last part of the hoof, ideally the toe area, leaves the ground, which is why toe length is important. A long toe causes the breakover point to slow, creating extra work for the tendons and ligaments. Try to be available when your farrier comes to shoe your horse. You can’t learn or ask questions if you’re not present. Trying to understand what your farrier is doing and why can be intimidating, but most farriers are happy to see when the horse owners are involved and welcome questions, so don’t be shy. You’re around your horse on a daily basis; you know him better than anyone and will be able to pick-up on any idiosyncrasies in hoof quality or gait movement much sooner than your farrier. Do you know what your farrier is trying to tell you? Here are some words and phrases to help you better understand what he’s saying. Balance the hoof: trimming the hoof so that both sides are symmetrical in shape and size, and the hoof sits even on a hard, level surface. Hot shoeing (or hot setting): when a farrier heats the shoe in the forge and quickly places it on the foot to sear the area where the shoe will be nailed. Raise the heel: changing the angle of the hoof by leaving more heel when trimming or using a pad or specialized shoe to get the desired hoof angle.Usually done to relieve stress on specific hoof or lower leg structures. Rocker toe shoes: shoes where the front is slightly angled and lifted off the ground to influence where the horse breaks over. Having a basic understanding of farrier terminology will not only help you understand what is happening with your horse and be able to identify potential issues, but also better communicate with your farrier. Speaking the same language is essential to the soundness and longevity of your horse. Good luck in “forging” ahead with your relationship! Liniments or Poultices… What’s the Difference?